Earlier this year I caught a very early trailer for Unstoppable at Empire’s Moviecon. The trailer seemed to be very similar to a sketch from the Simpsons – the one where there is some sort of crisis situation and the danger is heightened by throwing increasingly bizarre threats out. Sort of like “Oh no! We’re doomed! We are standing on thin ice and that tidal wave is about to crash over us and it’s been ridden by deadly Lion fish (a very spiky and poisonous fish) and they have frickin’ laser beams attached to their heads, powered by mini radioactive devices and etc.” you get the picture. That combined with the fact that I was still stinging from Tony Scott and Denzel Washington’s previous effort – the travesty that was The Taking of Pelham 1 2 3. 1. 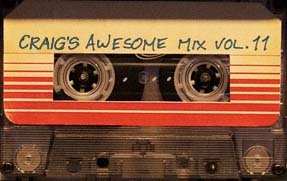 It was a disservice to the original, the 1974 original is just grand the way it is. In fact it’s a classic. 2. It’s a waste of some fine talent and budget that could have funded something better. 4. There is way too much style over substance. 5. OK! We all get that Bankers, Traders, Credit and stocks are the new villains but c’mon that was just lame. 7. But the single most negative thing about The Taking of Pelham 1 2 3 was the whole “I’m the villain but can’t really commit to any role that isn’t the good guy so I’m going to play it like I’m the hero – that will keep the audience guessing”. No we were just baffled. So really the cards were stacked against Unstoppable from the outset. But I went along any way and I’m glad I did as I was pleasantly surprised. Unstoppable is a fine piece of filmmaking. It starts of with a 80s like establishing sequence: the train yard and there it is – the train, like some huge monolithic, mute beast of machine ominously waiting to be unleashed. We are then introduced to Chris Pine’s character he seems to be down on his luck and living on someone’s sofa. He’s estranged from his wife & kid and is a rookie conductor running freight train duties. After stalking his wife & kid (establishing the estranged bit and adding depth to his background story) he makes his way to the train yard. Cue the older experienced driver he’ll be working with – Denzel Washington’s character. Immediately the friction between the new union, pay grade rookie (with same surname as some higher ups) and the older hands is evident. Meanwhile we see how the beast becomes Unstoppable via a serious of human error and unlucky turns. In essence it becomes a rampaging war machine clearing everything and everyone out of its way as it heads for a populated town to explode into a deadly fireball. The law and military are called in but pretty soon it’s down to the regular Joes with big hearts (Denzel and Pine) to put aside their differences and do something. Unstoppable has a lot in common with Tony Scott’s earlier The Taking of Pelham 1 2 3, particularly the similarities between the character Denzel plays in both films as well as obviously a large runaway train heading for a fiery final stop. I’m taking this as Tony Scott and Denzel Washington apologising for The Taking of Pelham 1 2 3. I guess the magic of Unstoppable comes down to – the characters, not just Denzel and Pine they are good but pretty much everyone is given the chance to breathe air into their characters and establish their personalities. Stand outs are Denzel Washington & Chris Pine as the everyman family types, Rosario Dawson is the ignored, quick on her feet operations manager, Kevin Dunn as the money focused corporate executive, Ethan Suplee & TJ Miller as the hapless but humorous train crew that unleash the beast, Lew Temple as the zealous but ironical have a go hero and Kevin Corrigan as the pop up, knowledgeable and helpful train safety inspector. Wow! After writing that it does seem that Unstoppable has a cast of characters very similar to a 70’s disaster movie. 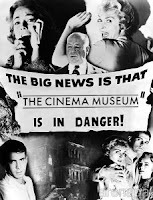 The story, apparently based on actual events, is kept fairly simple and the every man – human factors are apparent throughout allowing for easy engaging with the characters and events. Films like Unstoppable can only end in one of four ways; the good guys triumph, the good guys triumph but one dies, the good guys don’t completely triumph, but learn something valuable about life or the narrator turns out to be Tyler Durden (or other suitable twist that may or may not work). How Unstoppable gets you to the ending is an enjoyable 99 mins of action, tension, witty dialogue and rampaging steel. 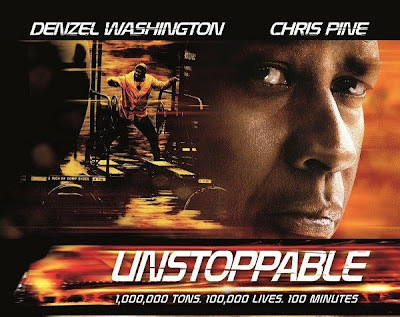 Unstoppable will be smashing into UK cinemas on Wednesday 24 November 2010.